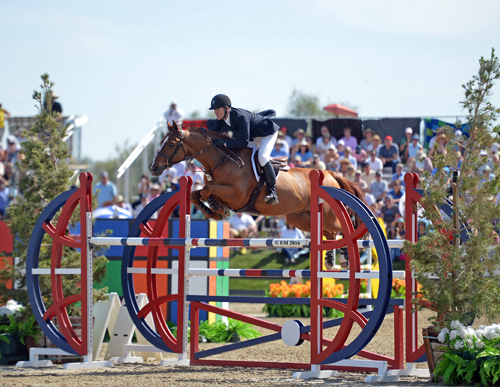 HITS » Who's Your Pick for the Saugerties $500,000 Grand Prix FEI CSI5*? 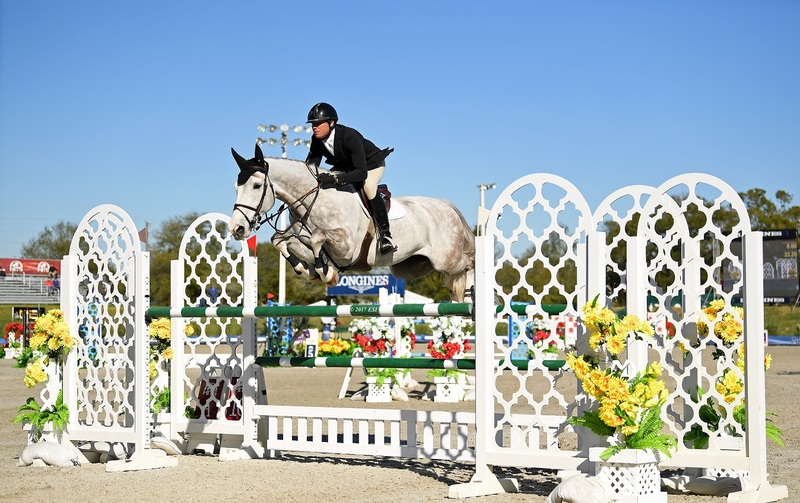 Riders travel from across the country and around the world each year to compete in the HITS Championship in Saugerties, New York. 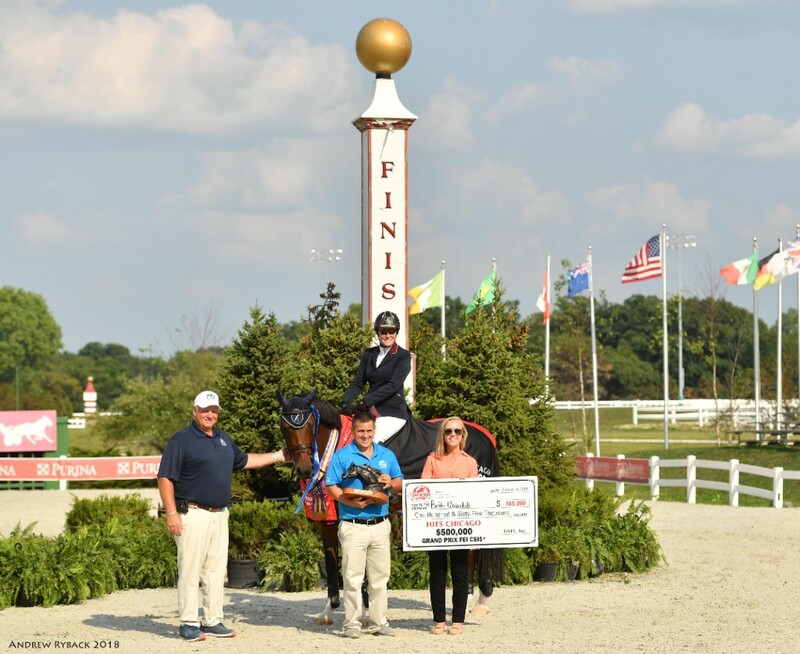 Many of the riders who are joining us for the Saugerties $500,000 Grand Prix FEI CSI5*, just competed with us in the FEI CSI5* at HITS Chicago, August 15-19, and will be going on to compete at the World Equestrian Games (WEG), September 10-23. 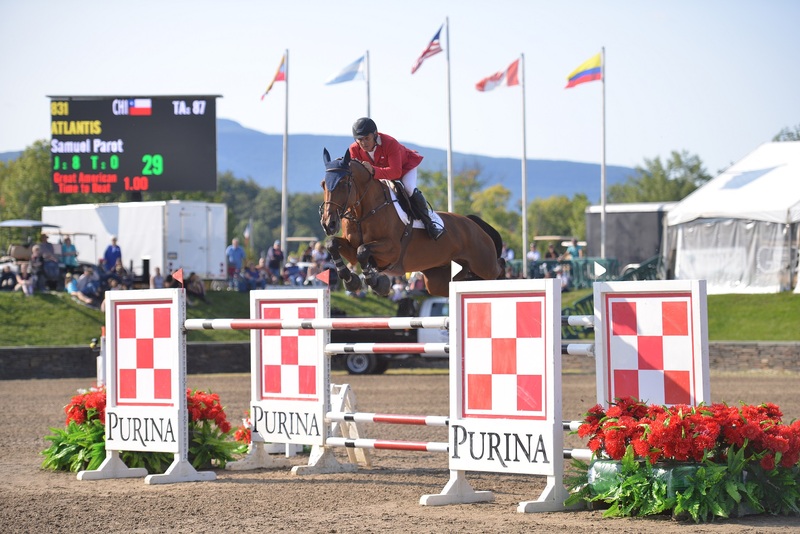 We are thrilled to host these riders and all others who are competing at the HITS Championship, and at WEG! 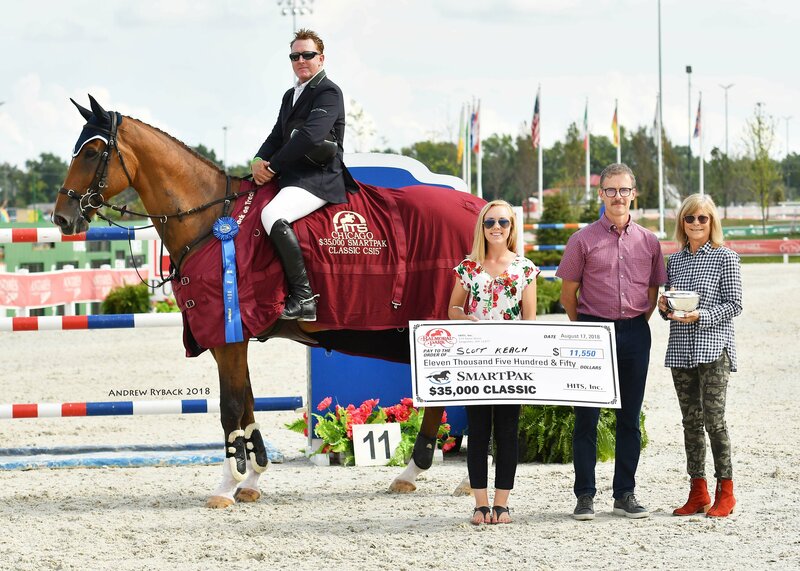 Career Highlights: On the short list for Canada’s World Champion Team, competing at WEG 2018; Won the HITS Chicago $500,000 Grand Prix CSI5* and the AIG $50,000 Grand Prix CSI2* at HITS Chicago with Count Me In; On Canada’s Bronze Medal Team at the 1999 Continental and Regional Pan-American Games with Altair; Member of Canada’s 1992 Olympic Team. "We always get such a warm welcome at the HITS Shows and that's why we keep coming back. The first time we came to Balmoral Park [HITS Chicago] was in June and we had a fantastic time and now we're here today and it [this win] is just a little bit surreal." Career Highlights: On the US World Champion Team, competing at WEG 2018; Gold Medalist at the 2017 World CupTM Final with HH Azur; Won the Saugerties Million in 2010 and 2012, won the AIG Million at HITS Coachella in 2016; On the US Silver Medal Team at the 2016 Olympic Games with HH Azur; On the US Gold Medal Team with Sapphire at the 2008 and 2004 Olympic Games. Career Highlights: On the US World Champion Team, competing at WEG 2018; Captured the Silver Medal at the 2018 FEI World CupTM Finals aboard Eddie Blue. 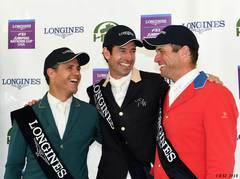 "HITS is the perfect place to prepare for WEG and it’s not too far from home on American soil. My 2018 riding goals include having a successful WEG with Team USA and to get some World Cup points put away early this fall if possible." 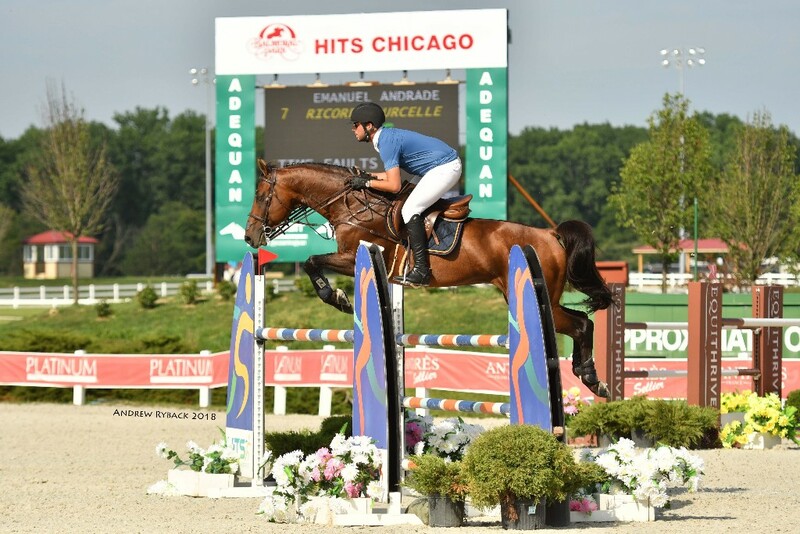 Career Highlights: On the short list for Venzuela’s World Champion Team, competing at WEG 2018; Competed in the HITS Chicago $500,000 Grand Prix CSI5* with Ricore Courcelle; Won Individual Silver and Team Bronze at the Central and Caribbean Games in 2017 with Reus de la Nutria; Represented Venezuela in Individual competition at the 2016 Olympic Games aboard Hardrock Z. Career Highlights: On Australia’s World Champion Team, competing at WEG 2018; Placed second in the HITS Chicago $500,000 Grand Prix FEI CSI5* aboard Fedor, Competed in the 2016 Olympic Games aboard Fedor. "The footing in HITS Chicago is very good and having Guilherme [Jorge] build the course was excellent. This and the Saugerties CSI5* are excellent preparation for the World Equestrian Games." Career Highlights: On the short list for Chile's World Champion Team, competing at WEG 2018; Competed in FEI CSI5* competition at HITS Chicago; Competed in the 2012 Olympic Games with Al Calypso; Has competed at the Continental and Regional Games.